A pigeon is a bird, popular in most parts of the world. The old man sat on the park bench and fed bread crumbs to the pigeons. Pigeons often perch under bridges. clay pigeon: a piece of clay or other material that is thrown in the air and used as a target for shooting. 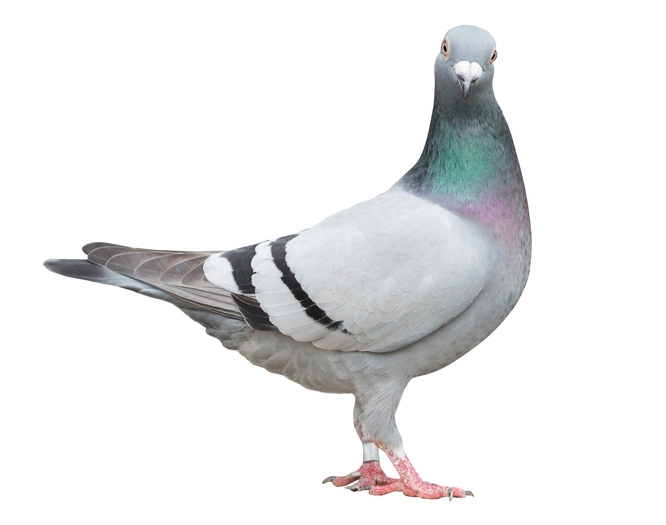 A homing pigeon (carrier pigeon) is a breed of pigeon that can find its way home. Homing pigeons are used to carry messages from a remote location, back to their home base. Cyndi Lauper’s song, “Sally’s Pigeons,” is about homing pigeons in her neighborhood. Watch the video. There are other meanings of pigeon.